SO HOW MANY PEOPLE DOES IT TAKE TO MAKE A MERINO WOOL T-SHIRT? 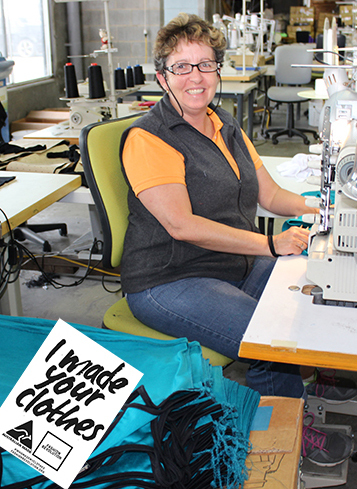 “We worked out that between 80 and 100 people contribute in different ways throughout the supply chain including wool growers, shearers, truck drivers, agents, auctioneers, early stage wool processing, top making, spinning, knitting, dying, transport, machine mechanics, designers, pattern makers, thread suppliers, sewing machinists, cutters, QA checkers, packers, administration and the people who support these industries”. “Who Made My Clothing?”, Merino Country is proud to say the Holt Family raised the sheep that grew the wool, Nick knitted the yarn, Yaron dyed the fabric, Dave drove the truck, Kerrie designed the garments, Mal cut the fabric, Faye, Linda, Lien & Kim sewed the garments, Janet & Caroline checked them, Nic packed them and Frog from Australia Post helped deliver 100% Australian Merino Wool garments, Grown & Made in Australia to our Australian customers! We Made Your Clothes!!" 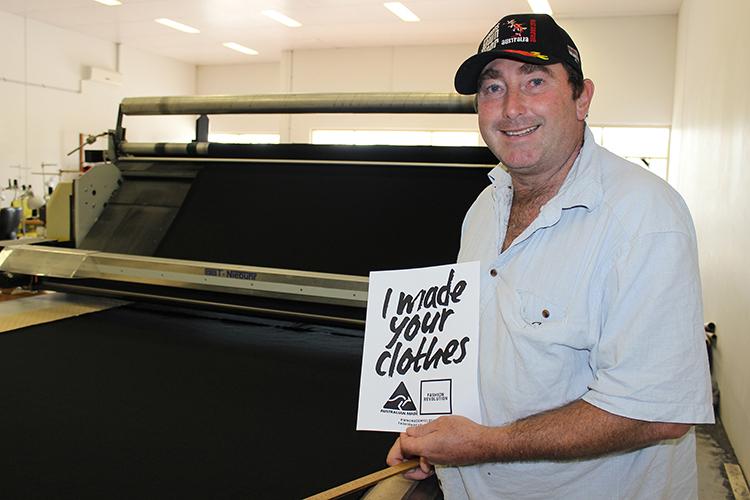 Merino Country is one of Australia’s leading manufacturers of merino products and was founded by Kerrie Richards in the shearer’s quarters on her family’s sheep and cattle station in Western Queensland. Kerrie and her husband, Malcolm Pain, a former beef and crop farmer, now run their business from Brisbane.